A different sort of quarry. 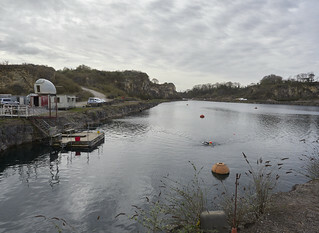 Flooded with beautiful cold clear water - and now a place for diving and swimming, Cromhall Quarry is just outside Charfield in Gloucestershire. I swam here last weekend and it was lovely!